Reselling web hosting packages is a great way to make money online. Linux web hosting servers running cPanel is the most used platform, so cPanel is the world leading control panel. It’s easy to use because it has wider compatibility and great stability. Web hosting in the ’90s used to be all manual. cPanel automates all the server management process, so it makes the life of the systems administrator a lot easier. Copahost offers cheap Linux reseller hosting plans from 4,99€ per month. Use the coupon code RES50 to have a discount of 50% in your first month. You can see all Copahost’s reseller hosting plans here. If you plan to resell hosting using Windows platform, you may consider using Plesk or Ensim platform as a control panel. Linux is a very better platform rather than Windows. Linux servers are mainly accessed by SSH terminal. But, their administration is made easier by the control panel solutions. As a conclusion, a control panel automates the whole process for the system administrator. Our conclusion: best linux reseller hosting. Easier to debug errors. Better error logs with many command line options. Performance, as CentOS Linux is a light operating system. You can use Cloudlinux, which gives great isolation for each website. It prevents user overloads, allowing you to host more websites in a single server. Better compatibility with hardware replacements. Especially, windows usually require a reinstallation when facing hardware problems. It’s the most used operating system for web hosting servers. What can cPanel WHM do for you as a hosting reseller? In the early ’90s, cPanel was not available. So, the tech support team had to do everything manually. For example, create each email account, create databases, etc. Thus, nowadays everything changed. Now WHM is the “mother” control panel, for the reseller. 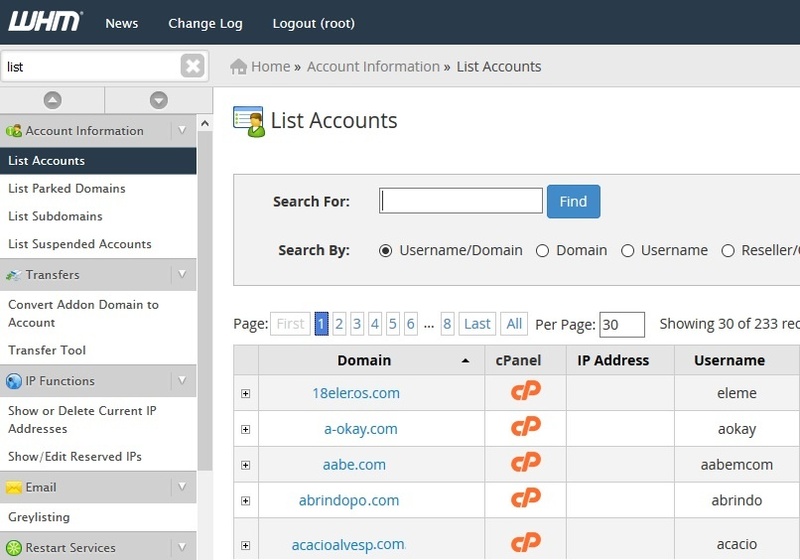 cPanel is the “children” control panel, for the end users (customers). 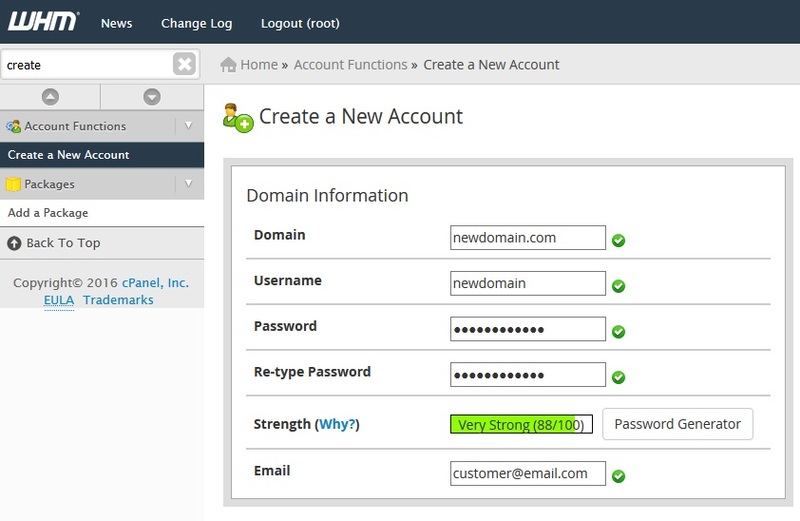 cPanel offers a very easy to use interface. Install applications like WordPress, Joomla, etc. Having a cheap reseller hosting account allows you to have almost a complete access to the web hosting server. 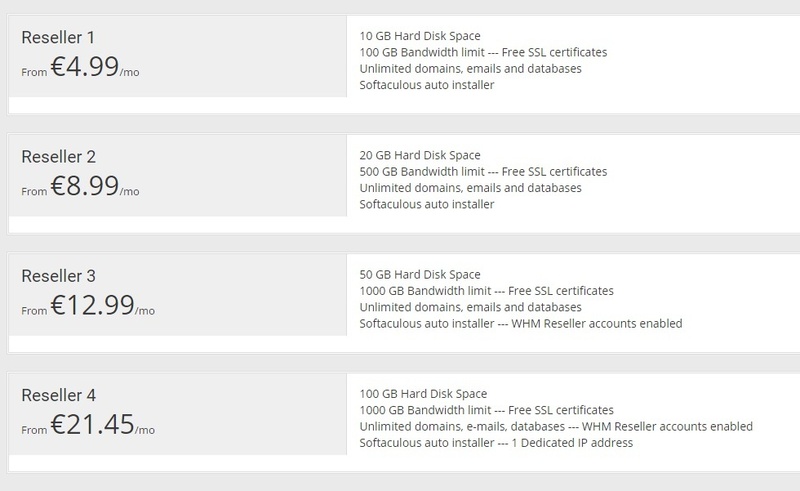 If you compare Reseller, VPS and Dedicated servers, you will see a big price difference. The reseller hosting with cPanel is the best solution for you to have a very functional service at a low price.